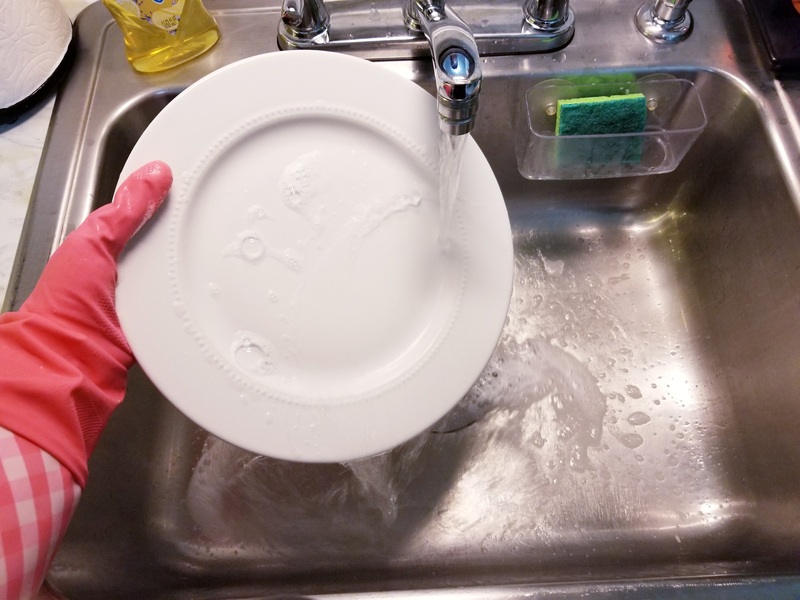 The correct procedure for sanitizing dishes with regular disinfecting bleach is first to wash and rinse dishes, glassware, and utensils. 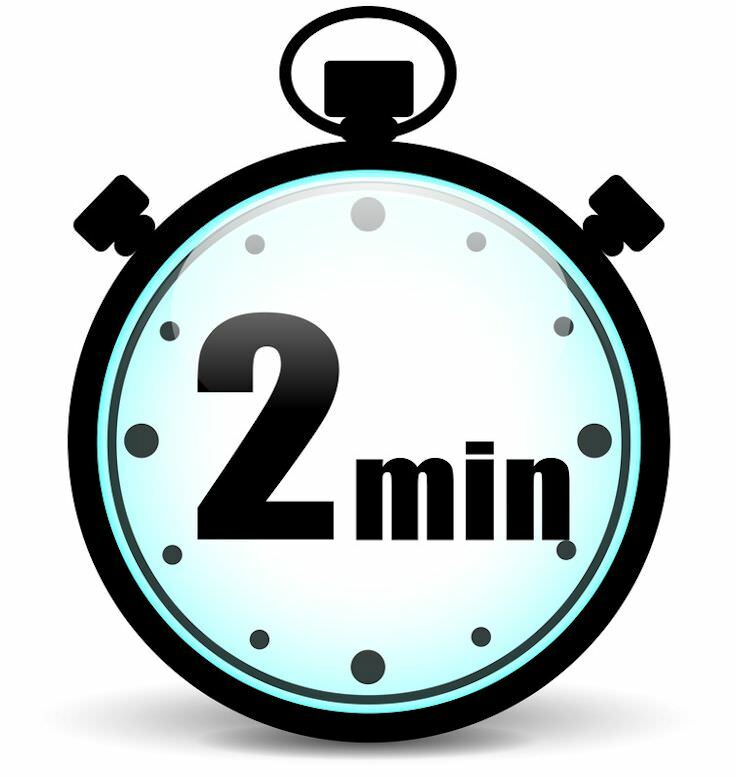 After washing, soak for at least 2 minutes in a solution of 2 teaspoons of bleach per 1 gallon of water, drain, and air dry (no need to rinse after). Bleach is perfectly safe to use. Once bleach dries it is rendered completely harmless and breaks down into salt and oxygen. 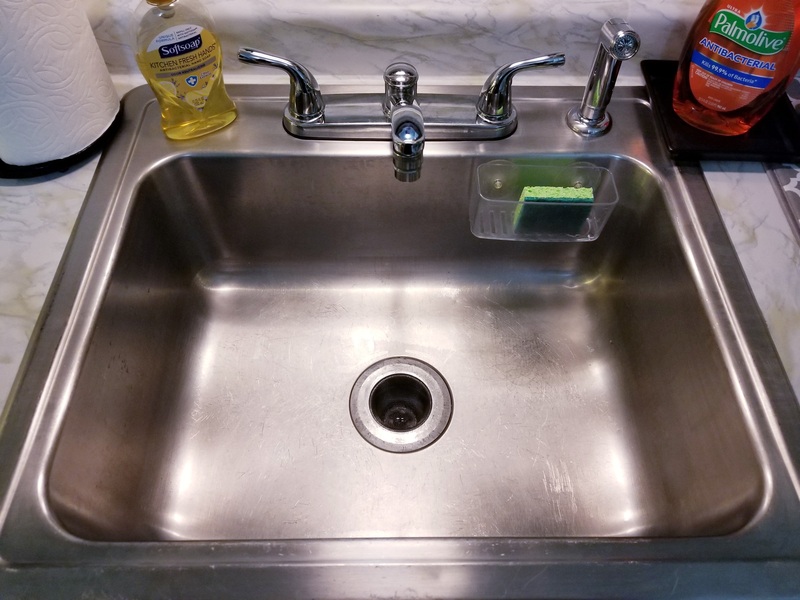 Make sure you have a clean sink before and after washing the dishes. 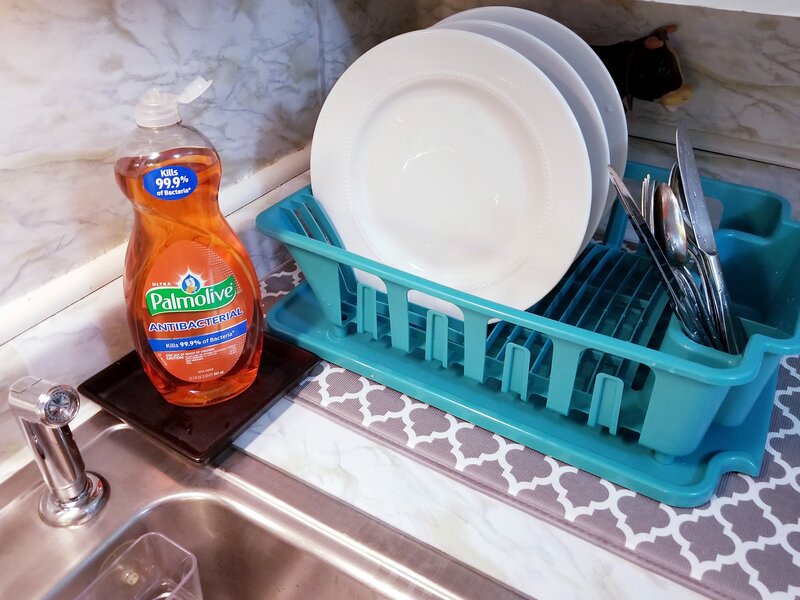 Wash dishes with soap and hot water. 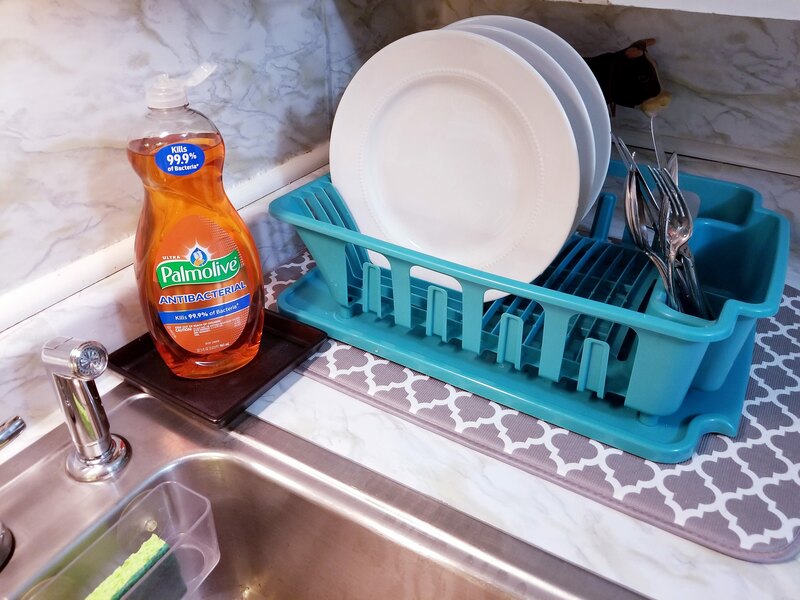 Set the clean dishes aside and rinse the sink. Fill the sink with enough cold water to cover the clean dishes. Shown is 4 gallons of water in a standard sink. (You can easily measure out the gallons needed by using an empty gallon water container). Add 2 teaspoons of bleach per gallon of water. 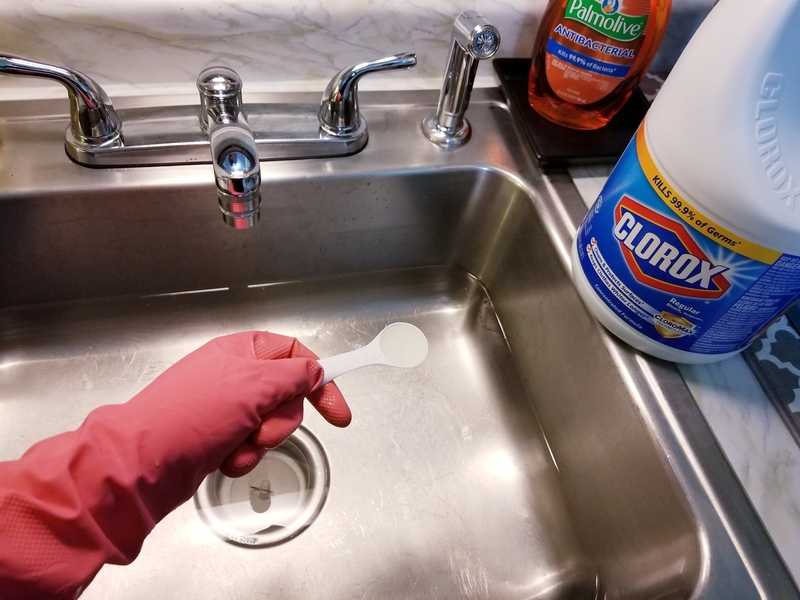 Mix the bleach in the water before adding the clean dishes. 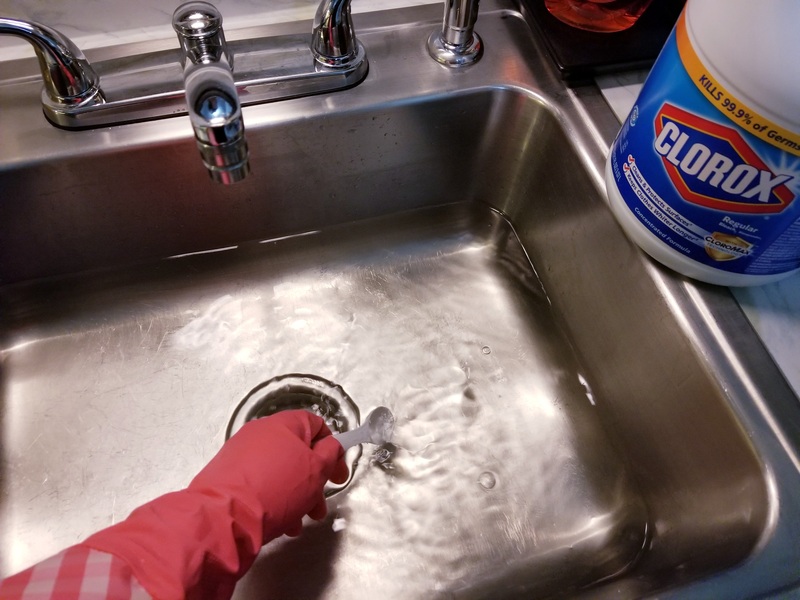 Place the clean dishes, silverware, and flatware in the bleach water solution. 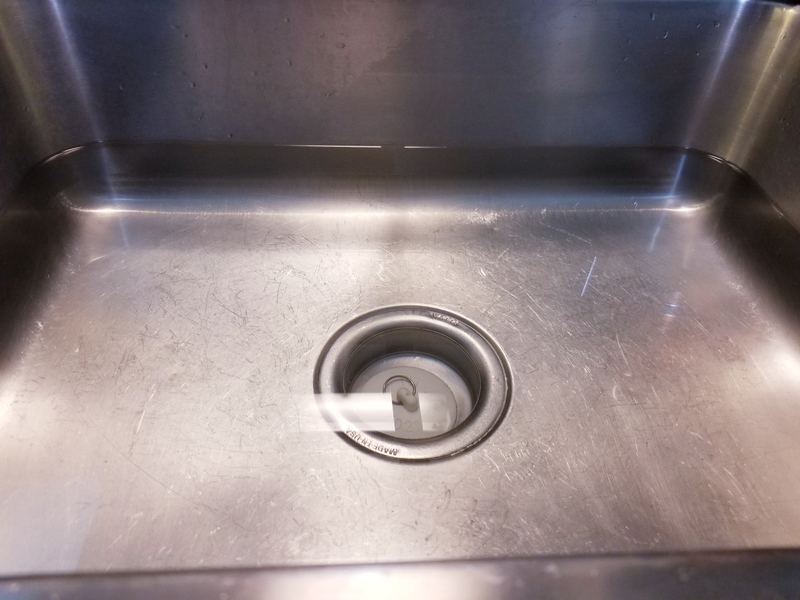 (The example also shows a clean sink strainer & sponge holder). 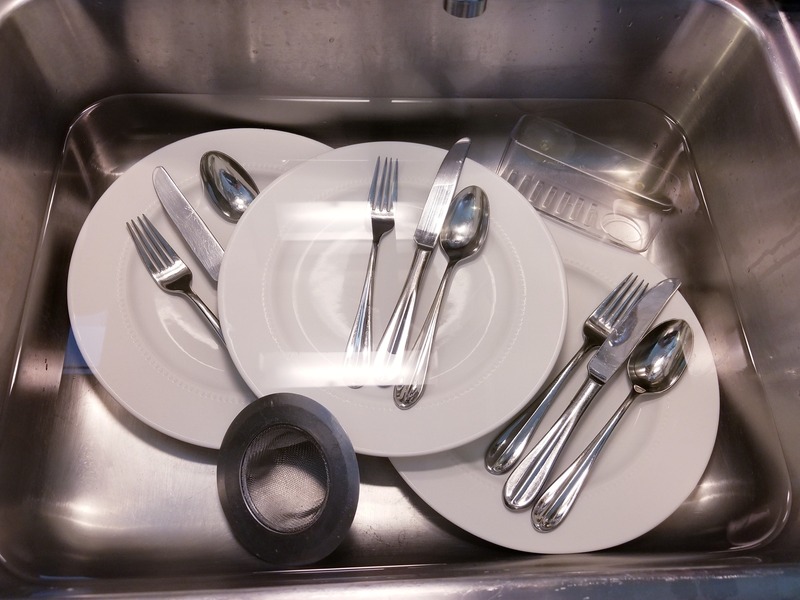 Let the dishes sit for at least 2 minutes in the bleach water mixture. Set the dishes aside to dry. There is no need to rinse the bleach from the sanitized items. Once bleach dries it is rendered completely harmless and breaks down into salt and oxygen. Make sure you use a new bottle of regular concentrated disinfecting bleach OR one that has been opened within the last 9 months. Bleach has a relatively short lifespan (1 year from the manufacture date). It loses its disinfecting properties and overall effectiveness over a period of time. This is why it is best if used within 9 months from opening. It will become cloudy, and milky looking in texture once it starts, or has gone bad. 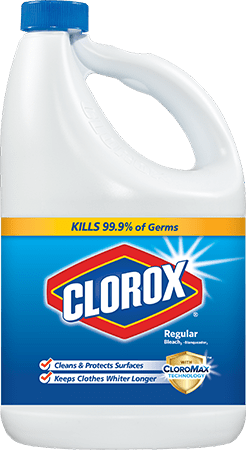 Splash-less, scented, bleach crystals and color safe bleach do NOT disinfect.